Achilles Tendonitis is a painful condition that can cause pain with every step taken. Achilles tendinopathy refers to degeneration within the large tendon which joins the calf muscles (gastrocnemius and soleus) to the heel bone (calcaneus). It also is the most frequently ruptured tendon, usually as a result of a sports injury. Both professional and weekend athletes may suffer from Achilles tendonitis, a common overuse injury and inflammation of the tendon. 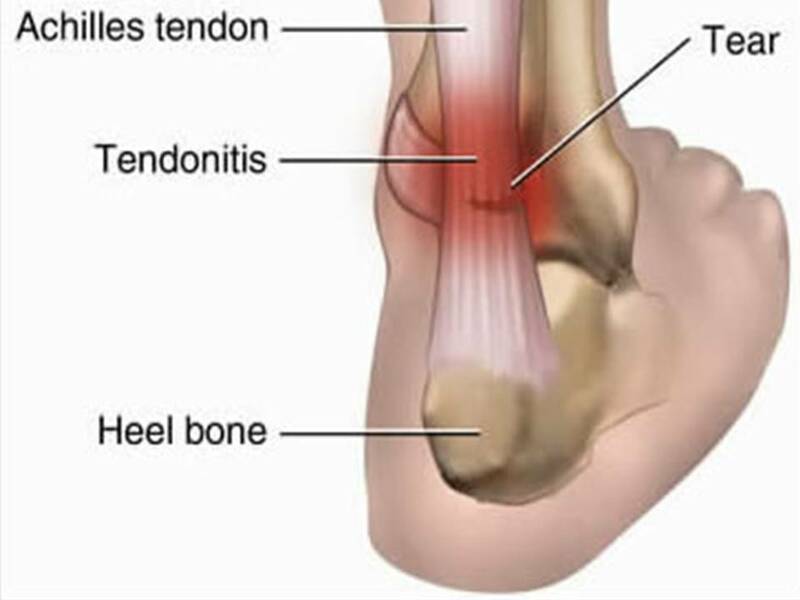 Achilles tendon pain commonly occurs from shearing and stretching forces placed on the Achilles tendon eading to microscopic tears within the substance of the tendon - the body commences an inflammatory response to repair the tears, this is part of the healing process. With repetitive stresses the inflammation is prolonged and so results in local tissue damage. Achilles tendon pain may be felt during activity and often begins with mild pain after exercise or running that gradually worsens. Tenderness can be felt along the course of the tendon and in some cases there may be the presence of a localized nodule (small sack of fluid) on the tendon. Recurring localized pain, sometimes severe along the tendon during or a few hours after running. Morning tenderness above the point where the Achilles tendon is attached to the heel bone. Stiffness that generally diminishes as the tendon warms up.